T. Wayne Campbell died in New Orleans on December 3, 2004, one day after his 75th birthday. As one of the best known biostratigraphers in the Gulf Coast area, Wayne had retired on December 1, 1994 as President and Chief Executive Officer of Paleo-Data, Inc., a company he founded in 1967. Born in the small west Texas town of Chillicothe, he graduated from the local high school in 1947 and accepted an athletic scholarship in track from Texas A & M College. Wayne once remarked that it wasn't until he had reached the big city of College Station that he found there was any other way to cook steak than by chicken-frying it. During the summer of 1949, Wayne worked for Phillips Petroleum Company washing samples for micropaleo examination. His cousin, Curren Campbell, was a paleontologist for Phillips and influenced his decision to focus on this field. Also that summer, Wayne was introduced to Miss Peggy Mayhall at a church function and later that fall transferred to the University of Houston to be closer to her. On June 3, 1950 Wayne and Peggy were married, a union destined to last 54 years. Wayne received his geology degree in 1951 and went to work for Phillips Petroleum Co. as a paleontologist. In 1953, Ken McWilliams of The Superior Company offered Wayne a job in New Orleans which he accepted. He was the chief (and only) paleontologist. Rumors of a buy-out of Superior Oil Company by Texaco in 1959 motivated T. Wayne to leave Superior and establish himself as a consultant. He immediately was offered retainers by Kerr McGee Corporation and Union Sulphur Production and opened an office in downtown New Orleans. After the sale of Superior was called off due to anti-trust considerations, Superior likewise engaged him as a consultant and his business flourished. Probably Wayne's greatest asset was his personality; you met him, you liked him. Something about him told you "here is an honest man who you can trust and will do his best for you." Wayne never cut corners, never took short cuts, never gave up, and if you needed help of any kind, from making contacts for finding a job to help acquiring and understanding paleo for a prospect, it was always given with no return expected or accepted. He remembered names from executives to roustabouts on rigs and was liked by all. 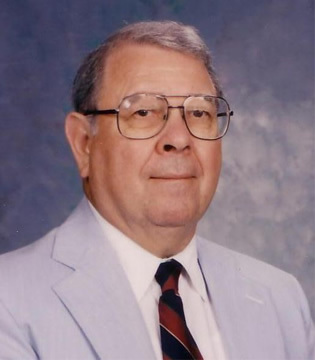 While continuing to build his client base, T. Wayne recognized in the early sixties the tremendous potential in the offshore Gulf of Mexico and was instrumental in developing a foundation for biostratigraphic interpretation and an extensive well database. Wayne was truly the geologist's paleontologist, always in tune with their pragmatic needs for biostratigraphic application, getting to the heart of a geological problem through solutions that were biostratigraphically supported. In 1965 the business had grown to such a point that Jack Dunlap was hired to assist him in maintaining the excellent client service which had become a hallmark of the client-consultant relationship. In 1967 they formed Paleo-Data, Inc., which has since grown to be the largest consulting firm offering biostratigraphic services and data in the Gulf Coast Basin. Aside from building a prosperous consulting firm, T. Wayne Campbell always found time in his busy schedule to share his knowledge of biostratigraphy with any person who sought his help. He has always been open equally to students, entry-level geologists and to managers of his client companies. His commitment to high principles of work values and service are a standard to all of us and his expertise and guidance will certainly be missed by the petroleum industry. Wayne was generous in his support of the GCSSEPM, either through support of research conferences, or encouraging his staff to maintain Section involvement through committee and office positions, so important for professional growth. He is survived by his wife Peggy and five children (Pamela Campbell Melson, Peggy Kay Campbell Mary, Gregory Wayne Campbell, Gary Thomas Campbell, and Gunnery Sgt. Bradley Neil Campbell, U.S.M.C.) as well as four grandsons, five granddaughters, and one great- granddaughter. Wayne was a strongly supportive father and grandfather of a very close knit family. T. Wayne Campbell was a man of many talents and abilities which he generously shared with all who needed them. His loss is not only to his family but to all of his many friends and to the staff of the company he founded.